Killings by werewolves coincide with assorted people heading to Bon Temps for a gun fair. As the werewolves haven’t made themselves publicly known like vampires, only a few humans are aware of their existence, but when questioned, Alcide denies any of his local pack are responsible. Annie Nocenti and Michael McMillian collaborate on the plot, then take turns scripting the chapters, providing a tale that slightly improves on Where Were You? because that was structured to be episodic, while this is a thriller that builds tension. There is a frustration that being structured to resemble the TV show means a lot of talking and explanations, when there’s room for more material that a show on a budget can’t afford, but overall it delivers on the promise of the premise. That’s of the legendary Ghost Pack, a group of feral werewolves who every once in a while prove their supremacy by wiping out a human town entirely. 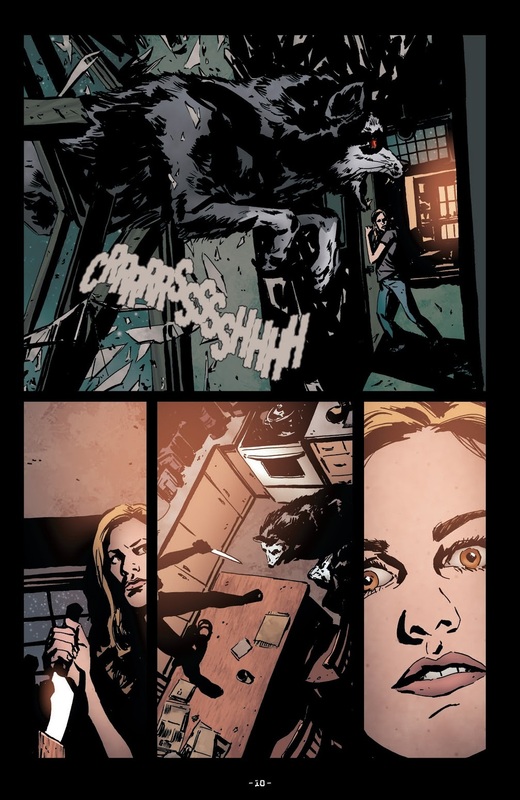 Michael Gaydos (sample art) shares the artistic credits on Shake With Me, and as well as stylistic differences it leads to annoying consistency errors such as Sookie in danger on her porch to close the opening chapter, yet on her lawn to open the next. Both Greg Scott and Beni Lobel work in their own style rather than attempting to merge with Gaydos, and that’s no bad thing. Lobel brings an effective cinematic quality to some werewolf scenes that’s absent from Gaydos’ approach, although his anatomy is a little shaky. As he did in Where Were You? 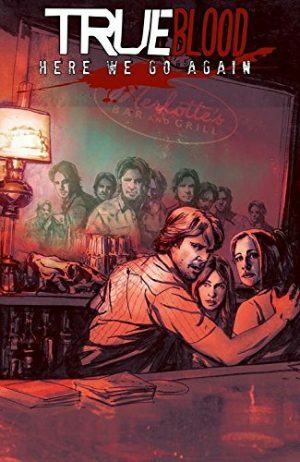 McMillian writes the epilogue solo, and this is a more effective piece, nicely illustrated by Scott as Alcide attempts to hedge his bets, but comes across something strange and unexpected. 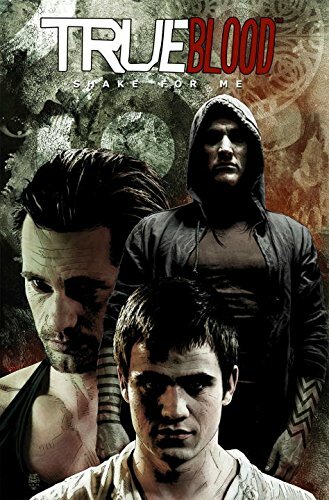 It sets a decent mood, and in the end ranks higher than the title story, which is let down by an ending that’s all too convenient and easy considering what’s been built up. 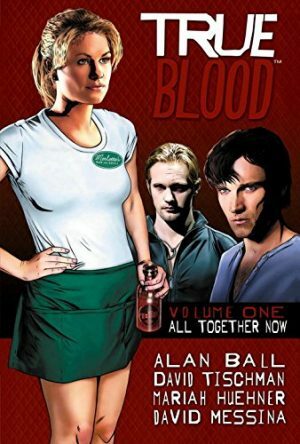 True Blood’s graphic novel run concludes with Here We Go Again.